As the scandal of exponentially rising energy prices continues to put the squeeze on struggling families, bill payers were hit with the news today that government action over wind farms may see those prices rise even further. The PAC (Public Accounts Committee) excoriated both Labour and the coalition for agreeing “generous” deals worth £17 billion with energy firms delivering wind-generated power to homes. Labour leader Ed Miliband made the agreement when in power that guaranteed that energy firms would be paid even if they fail to deliver energy to households, while the current government implemented the scheme. Yet again, the spectre of PFI which underwrites failure and guarantees profits for private contractors loomed darkly over the public interest. Energy bills have more than doubled since 2004 to more than £1,300 a year per household, largely due to rising gas prices and are now destined to go up by hundreds of pounds. 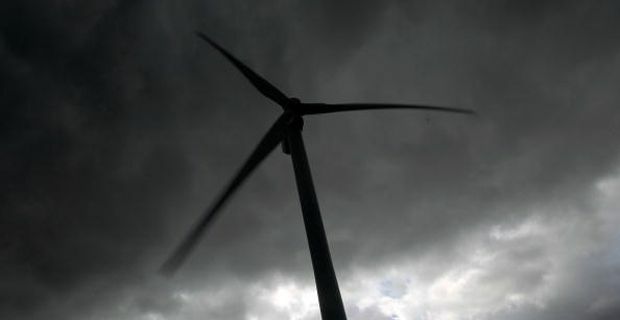 In the wake of the PAC’s withering report into the wind farm contracts, the Department for Energy and Climate Change (DECC) has now said it will “re-examine some of the terms” of the flawed deals. The government understandably has a target for wind farms to provide up to 15% of the National Grid’s electricity by 2020, but the way they have gone about trying to achieve that has left the public footing an unnecessarily high bill while the private firms chuckle all the way to their presumably offshore bank. The committee said that long-term licences awarded to energy companies so far “appear heavily skewed towards attracting investors rather than securing a good deal for consumers”. Under the terms of the contracts the companies are guaranteed an RPI inflation linked income for 20 years regardless of how much the infrastructure is used. The estimated returns of 10-11 per cent on the initial licences “look extremely generous given the limited risks”, the MPs said. So the logic that private companies are ‘more efficient’ and will ‘prevent the taxpayer being saddled with the bill’ yet again comes crashing down. The public pay either way. They just pay far more this way.